I am completely inexpert at preserving what grows in my garden. But I have resolved to start learning. I’m starting simply: chives. What could be easier to grow? And what tastes better in the dead of winter than fresh chives snipped into potato and leek soup? Or on scrambled eggs? I saved a nice-looking jam jar and ran it through the dishwasher. 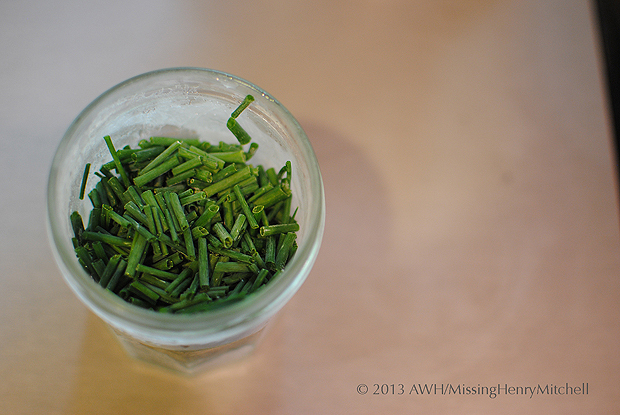 Then I harvested and washed a large pile of chives, and took the scissors to them. They’re clean and ready for mixing into all kinds of winter dishes. I’ll keep this jar in the freezer and take out bits as I need them. No special canning knowledge necessary. 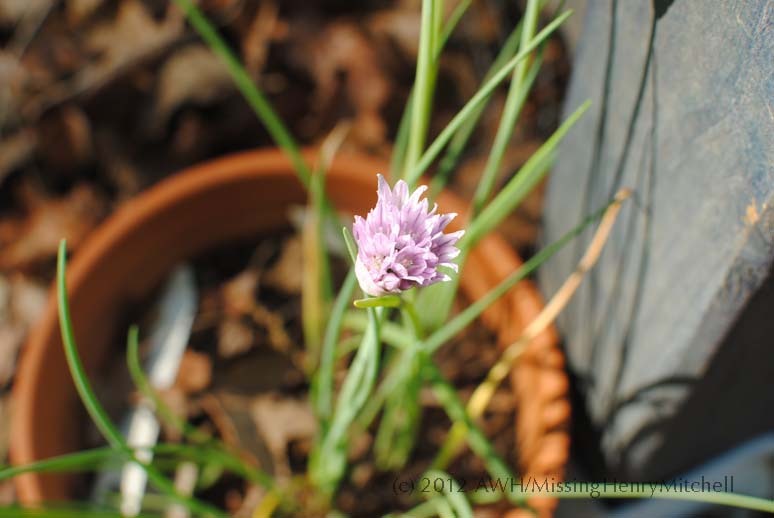 This entry was posted in 2013 and tagged Chive, food, freezing herbs, gardening, herb gardening, herbs, preserving harvest by missinghenrymitchell. Bookmark the permalink.